If you upgrade from Windows 7 or Windows 8.1 / 8 to new Windows 10 , here are some things to keep in mind! Yor can upgrade from Windows 7/8.1 x64 to Windows 10 x64 or from Windows 7/8.1 x32/x86 to Windows 10 x32/x86. An upgrade from x32 to x64 or x64 to x32 is not possible. (... see Image-7). You need ~ 15 GB of free space on you install partition HDD or SSD for Windows-10 Upgrade, in this example on C:\. Your PC will restart several Times (... see Image-3) The upgrade time is 15 to ~30 minutes, depending on the amount of your own personal files and installed programs / APPs on Windows 7 or Windows 8 / 8.1 (it can be up to one hour and more). Windows Media Center is not part of Windows 10 and won’t be available after upgrading to Windows 10. (Image-1) Insert the Windows 10 DVD and start Upgrade! You can use the Upgrade option during Windows 10 installation, which preserves your files, settings, and programs, only if you're currently running a 32-bit version of Windows 7 or 8.1 / 8 and you want to upgrade to the 32-bit version of Windows 10. Similarly, if you are running a 64-bit version of Windows 7 or 8.1 / 8 , you can only perform an upgrade to a 64-bit version of Windows 10. 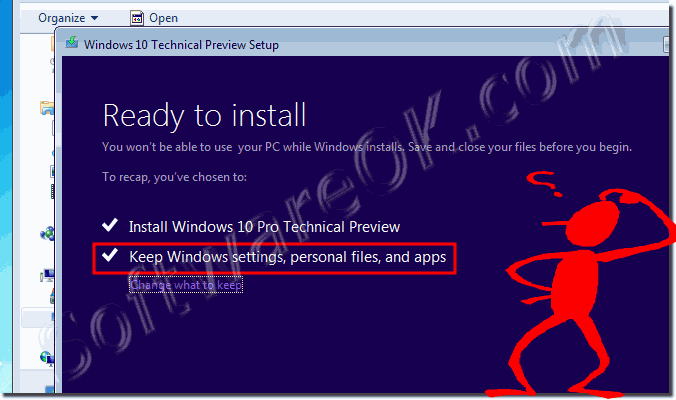 (Image-2) Upgrade Windows 7 or 8.1 to Windows 10 keep files and settings! (Image-3) Upgrade to Windows 10! If you want to move from a 32-bit version of Windows to a 64-bit version of Windows 10 or vice versa, you'll need to back up your files and choose the Custom option during Windows 10 installation. 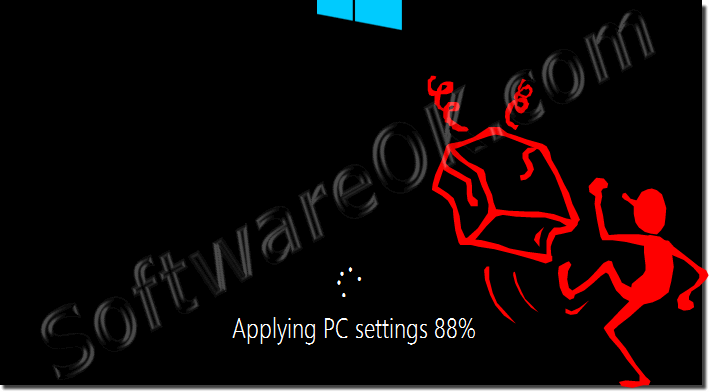 (Image-4) Applying PC settings Windows 10! However, reinstalling an earlier operating system not only replaces Windows 10, but also deletes all of the programs, files, and settings on your computer when you dot haw do a correct upgrade to Windows 10 or deletion of Windows.old folder. Before reinstalling your previous operating system, you should save your files and settings to a storage device, and then save them back to your computer after the installation is complete. 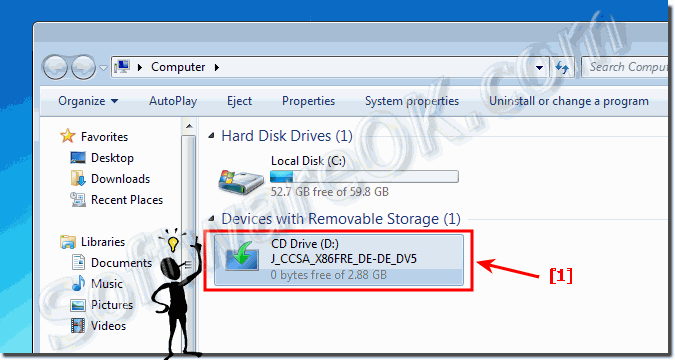 Because your programs will also be deleted, you’ll need to reinstall your programs using the original installation discs, or using the setup files if you downloaded the programs from the Internet. (Image-5) Windows.old for Downgrade to Windows 7 or 8.1 from Windows 10! If you install Windows 10 by performing a custom installation and don't format the partition during the installation process, files that were used in your previous version of Windows are stored in the Windows.old folder. The type of files in this folder depends on your computer. 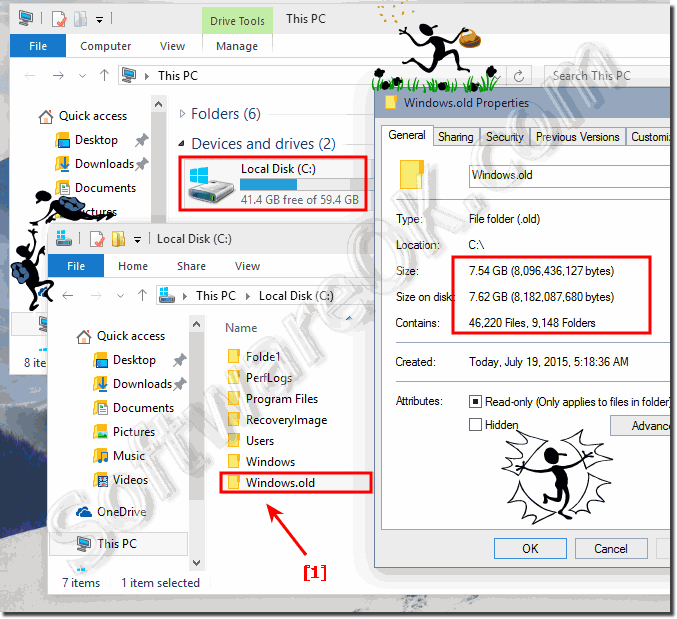 After you’ve used Windows 10 for a while for example, one or two weeks and you’re confident that your files and settings are back to where you want them to be, you can safely reclaim disk space by using Disk Cleanup to delete the Windows.old folder. (Image-7) Windows 7 x32 to Windows 10 x64! Your Installation Media cannot be used to install Windows. Windows-10 - FAQ-110: Upgrade Windows 7 or 8.1 to Windows 10, anything else I should know? When I upgrade Windows 7 to Windows 10 What should I keep in mind? Windows 7 how to insert picture or? 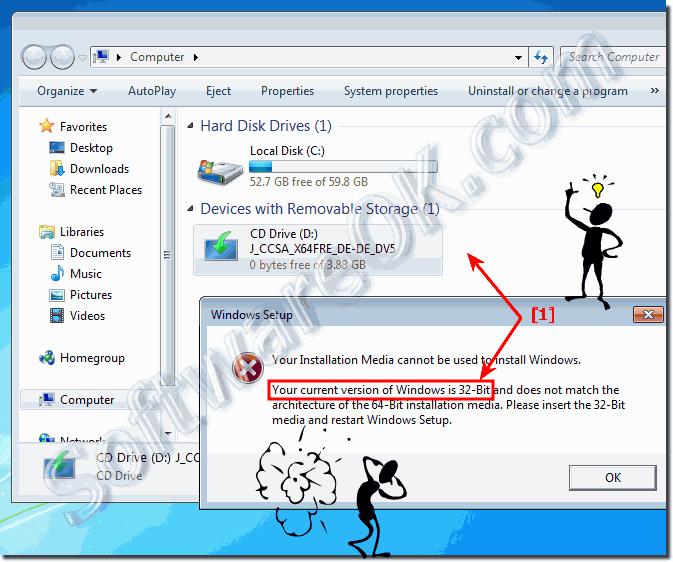 Your installation media cannot be used to install windows how to fix it?